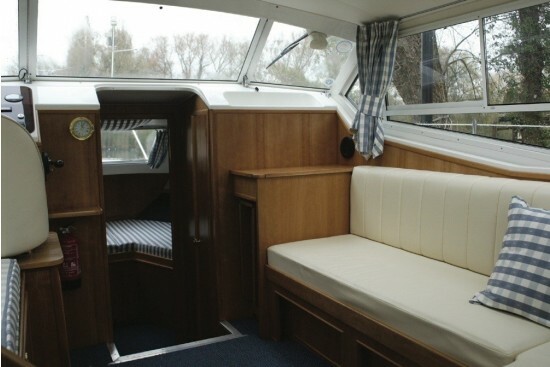 The centre sliding wheelhouse cover of the Sheerline 950 Centre Cockpit allows open air living for 4-6 people. 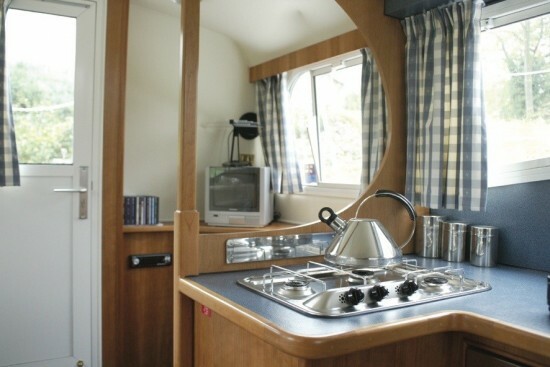 It is fully equipped with a shower and toilet compartment and an en-suite toilet for the stern bedroom. 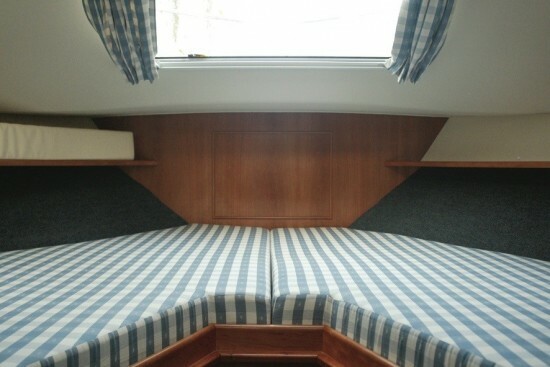 This area could either provide a double berth or be open plan saloon area adjacent to the well fitted galley. 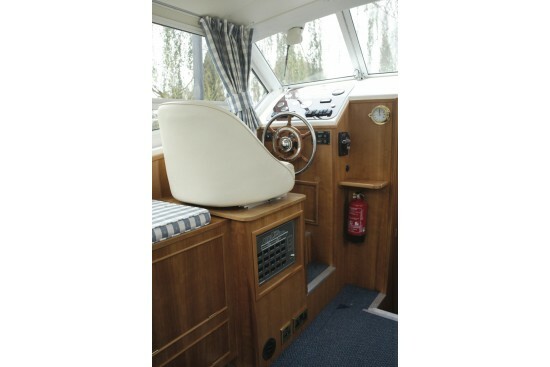 The wheelhouse saloon has an L-shaped settee that converts to a double berth starboard with the helm position port side. 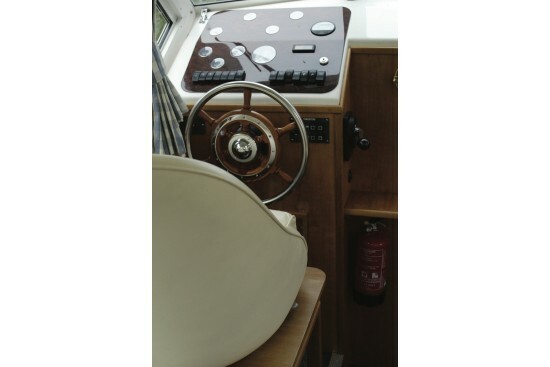 Steps down from the wheelhouse saloon lead to the forward cabin with two 'V' berths or a double berth option, and the large shower cubicle to port and seperate toilet and washroom. 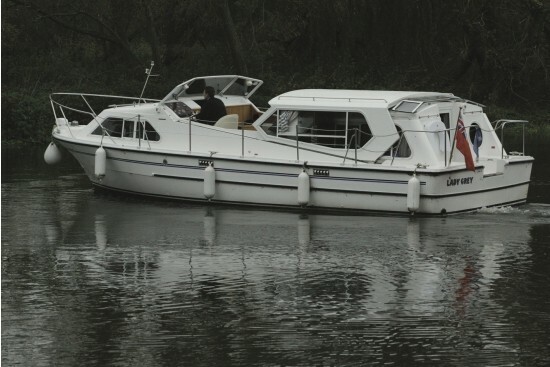 Low air draft to give access to the majority of the UK inland waterways is achieved by sliding the wheelhouse saloon roof using the manual or optional electric winch on to the aft cabin roof area and fold-down screens. 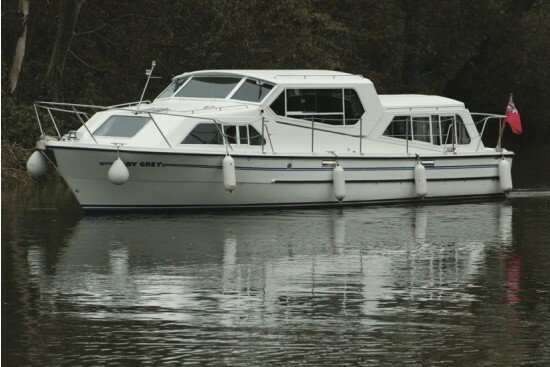 Length Overall 9.5m 31' 0"
Height above waterline to wheelhouse rooftop 2.31m 7' 7"
Height above waterline with wheelhouse down 1.98m 6' 7"
Wherever possible, we offer you the opportunity to personalise your craft from a wide choice of soft furnishings - high quality upholstery, fully lined curtains and fitted carpets - interior hard wood veneer and finish, as well as exterior decking. Additional entertainment and other equipment are available. Please ask for details. 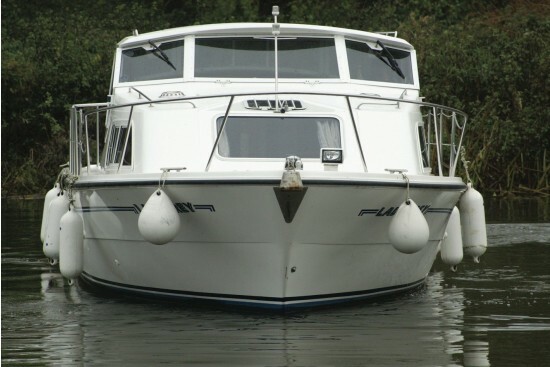 © Sheerline Motor Cruisers / Wroxham Marine LTD 2019 . All Rights Reserved.